These self-drive wheelchair accessible campervans deliver travel opportunities and holiday experiences for people with disability. It allows people to easily transfer inside to the rotating passenger seat. 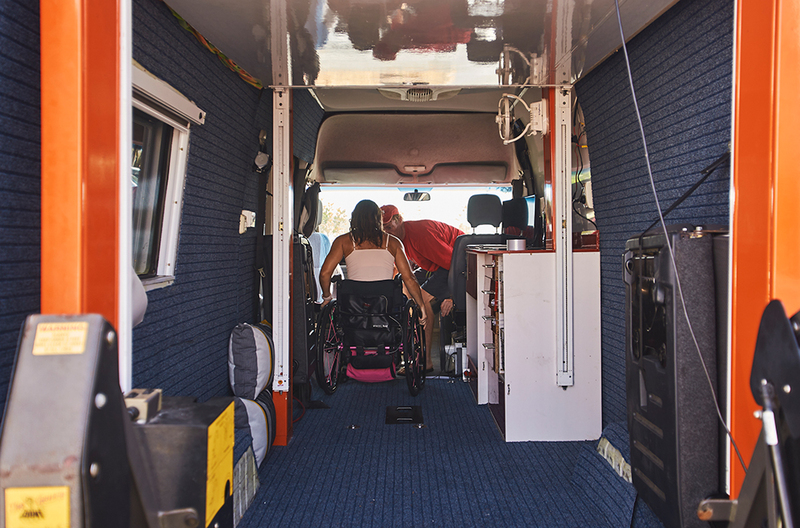 Each vehicle accommodates five passengers plus a driver and wheelchair and includes an internal hoist, cooking equipment, a TV and bed that can be lowered from the ceiling. Vans can be rented with pick-up on the Gold Coast or delivered to most locations across Australia. Wheelie Campers can also organise a driver if needed. The company will also assist with information on accessible locations and camping spots and other accessible facilities as well as providing additional gear including an 8-man tent with two integrated double beds, a camp table and chairs.